This simple traditional recipe from Lazio takes its name from the village of Amatrice (Amatriciana means “of the area of Amatrice”), in province of Rieti. 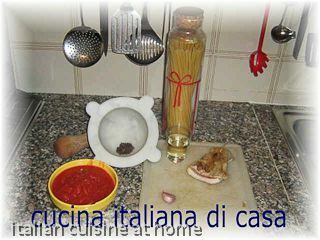 This dish has been made unforgettable by the actor Alberto Sordi. 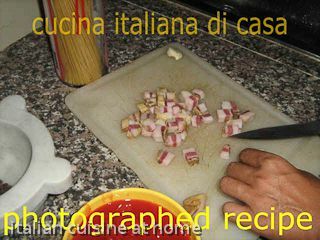 Notes to the recipe: for this recipe is used the guanciale (see description in our pork meat cuts manual). If it you can't find it use the bacon.